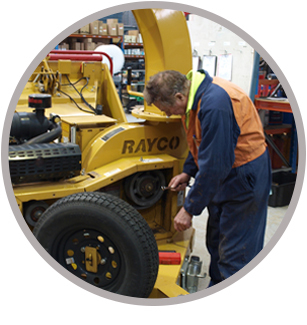 The evolution of Global Machinery Sales began back in 2009 when Brian Evans and his team took over the distribution of Rayco Equipment in Australia. 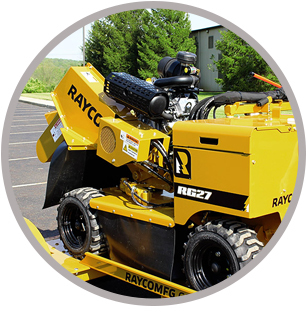 Rayco is a proud USA company that has been making forestry equipment in the USA for close to 40 years, it has been available in Australia for 25 years now. Over the years, Global Machinery Sales has expanded to include Timberwolf log splitters. The Timberwolf range of rugged and reliable log splitters includes models for splitting your own firewood to larger commercial units. In more recent times, Global Machinery Sales has introduced the CMC range of spider lifts to the Australian market. A range of heavy duty lifts with big height and reach. CMC spider lifts are compact and highly maneuverable making them ideal for arbor work and the tree professional. Global then introduced Angry Ant mini loaders, these tough and powerful mini loaders have been developed by Global Machinery Sales in conjunction with an overseas manufacturer to meet the needs of the Australian market perfectly. With a wide range of attachments these mini loaders are an extremely versatile unit able to make light work of many tasks. Our latest partnership is with Morbark LLC, a company that has been operating in the USA for 60 years, building top quality wood chippers over this time. Morbark has possibly the greatest range of wood chippers in the world. Global Machinery Sales provides the industry with a workshop and spare parts department that is focused on absolute quality and a fast turnaround on all repair work. If your repair needs are urgent, trust only Global Machinery Sales with your servicing requirements. Our parts department stocks all the necessary parts and tools for all the repairs and servicing. Global also has a large rental department, if you need a bigger chipper for a contract or job you are doing, or need a spider lift to safely do a job, all our machines are available for rent. You can try our brands before you purchase them too. Global Machinery Sales supplies the Arbor, Forestry, Farming and Access Industries with quality New and Used Wood Chippers, Stump Grinders, Forestry Mowers, Horizontal Grinders, Log Splitters, Spider Lifts, Mini Loaders and Recycling Equipment from leading brands such as Morbark, Rayco, CMC, Angry Ant and Timberwolf. 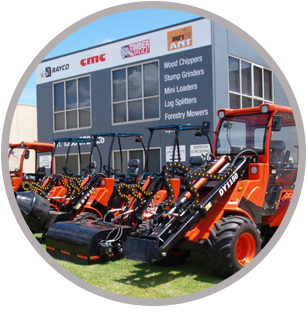 Global Machinery Sales is the authorised dealer for the Rayco brand in NSW, VIC, ACT, TAS, NT and WA, the authorised dealer for CMC nation-wide and exclusively stocks the Angry Ant range. We provide the industry with a workshop that is focused on absolute quality and a fast turnaround on all repair work. If your repair needs are urgent, trust only Global Machinery Sales with your servicing requirements. We service and repair all makes and models. Our parts department stocks all the necessary parts and tools for all the major heavy machinery brands – Rayco, Bandit, Husqvarna, Vermeer, Austchip, Chipstar, Telcor, Power Chipper, Dosko, Agtrak, Stump Humper, Morbark, Red Roo, John Deere, Caterpillar and more. If you’re not ready to buy, Global Machinery Sales gives you the flexibility of being able to hire a machine without having to make the big capital investment. Our large fleet of machinery for hire gives you the perfect opportunity to try before you buy or expand the capabilities of your business without the capital outlay. Hire machines for a day, a week, a month, even a year. Discounts apply for longer hire periods. Rental rates are from $150 per day. The newest addition to our Rental Fleet is our Wood Chipper Tipper Truck.